The density meter has become our reference method for the density as well as the alcohol content. We wouldn’t be half as good as we are now if we didn’t have Anton Paar. We compared Anton Paar’s [pharma] qualification package to those from other manufacturers and consider it to be extremely comprehensive. I believe we have been using this instrument for 20 years and in all those years it has always provided excellent results. 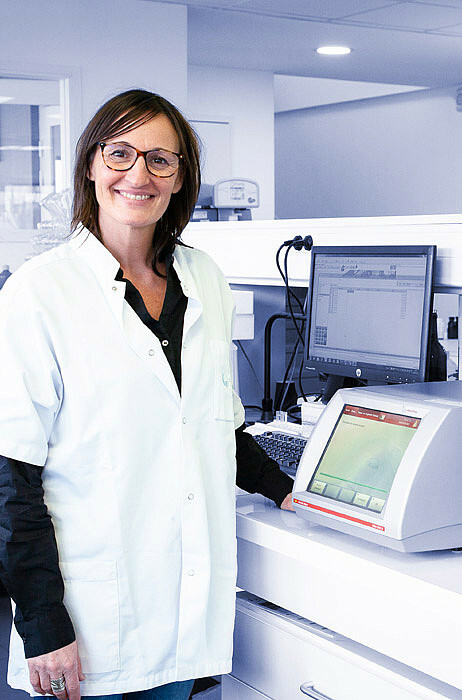 Our DMA 4500 M and the other Anton Paar instruments have been helping us maintain tight control of process specifications and ensure that the quality of our products meets global standards. We rely on Anton Paar’s measurement technology and enjoy the advantages of automated production monitored by process sensors – and that gives the brewmaster and his crew time to work creatively. The nice thing about the Anton Paar unit is that it’s the only unit of its kind that is actually approved for government testing. The most important instrument here is the PBA-B. It is the reference instrument for quality control in the lab. We can not only look at our beer in the moment but we can look at it over time, we can deduce trends, we can use the information as a powerful tool.